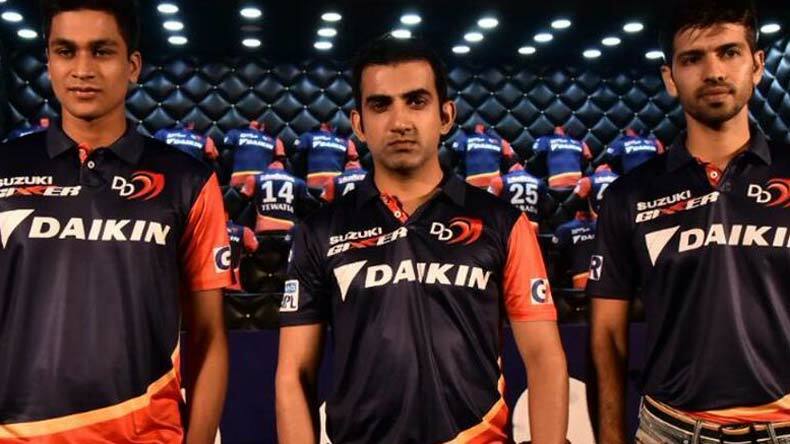 Indian Premier League outfit Delhi Daredevils will be weighing up their chances in the tournament under the able leadership of Gautam Gambhir and the guidance of Ricky Ponting. The Australian coach believes the fresh looking team is capable of defying the odds and winning their maiden IPL title. Delhi Daredevils will head into the eleventh edition of the Indian Premier League as a changed team. They are yet to taste trophy success in the cash-rich league and this year might be their year believes coach Ricky Ponting who has been handed a fresh squad with a tried and tested captain in Gautam Gambhir to change the team’s fortunes. Ponting who has always been clear-cut in his approach said that he doesn’t care about Daredevils’ poor record in the previous seasons as he has strong belief that the strong group of youngsters and experienced players that he has are capable of winning the maiden title in IPL 2018. Speaking at his first press conference after joining the Delhi Daredevils dugout, Ponting promised exciting brand of cricket from his team who look formidable on all fronts under local lad Gautam Gambhir. Delhi in the past few seasons have failed to match the quality of the top teams finishing outside the top four for successive seasons under changed captains. Their best finish in an IPL season came twice in the first three season. Later in 2012 Delhi secured a playoff position but failed to progress further. Ponting, on the other hand, has a proven track record in the IPL, he won the trophy with Mumbai Indians as a player in 2013 and once again tasted success with the Mumbai outfit in 2105 as the team’s coach. The magnificent former Australian captain rated as one of the best leaders of modern day cricket also lifted two World Cup titles with Australia. Ponting asserted he has a fresh group of players and if the team can execute the plans well than they can be genuine title contenders. “I have told this to the management. I don’t care about the past. We have got a fresh group capable of winning the IPL. It is my job, management’s as well as the players to give the best crack possible. I can assure you the boys are going to be well prepared and if they can execute their plans on the field, there is no reason why we can’t win,” Ponting was quoted as saying by the PTI. While Ponting brings in a bag of experience with him to the Delhi Daredevils dugout, he also brings in the aggressive brand of cricket that his Australian team played over the years under his leadership. Many of the Delhi players have also admitted that unlike their former coach Rahul Dravid who was more of a calm presence in the dressing room, Ponting is set to impart his fight till the last minute attitude on the players. Ponting too gave an idea of how he expects his players to perform and reckoned that aggression for him means doing whatever it takes to win games. “If they think I have been aggressive so far, I have not even started yet (drawing laughter). I have tried to be more motivational more than anything else. Tried to sort of get my point across that how important team culture and environment is,” said the Aussie coach who is aiming glory with his new team. With the return of local boy Gautam Gambhir, Delhi Daredevils are pumped to make it big this season. Earlier in the IPL auctions, they strengthened their batting deeply by roping in the likes of Colin Munro, Glenn Maxwell and Prithvi Shaw. They also picked Indian all-rounders Vijay Shankar and Harshal Patel who can give them an edge in the competition. Delhi’s pace attack also looked terrifying with the likes of Kagiso Rabada, Mohammed Shami and Trent Boult in their armoury, however, Rabada has been ruled out of the competition due to a back injury.